Jay Tanner ranches in Grouse Creek Utah. Along with his wife Diane they are parents to three sons and and a daughter. Jay, along with his family, owns and operates Della Ranches a cow calf and hay business. The ranch has recognized as a regional Environmental Stewardship Award winner by the National Cattlemen’s Beef Association and has been awarded the Leopold Conservation award for Utah by the Sand County Foundation Jay helped organize and is the chairman of the Utah Grazing Improvement Program, serves on the Utah Conservation Commission, and is a West Box Elder Conservation District Supervisor. 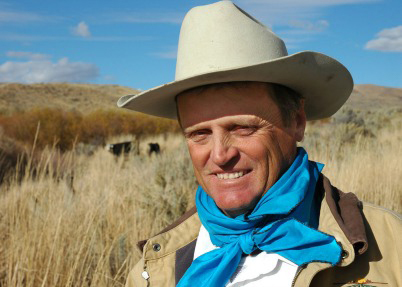 He is a member of the Utah Bureau of Land Management Resource Advisory Council and is 30 year member of the Utah Grazing Advisory Board. Jay has been recognized by the Small Business Administration for helping to establish the Grouse Creek Economic Development Foundation and as friend to small business. He is active in his church and community. Jay is grateful to serve with all the good people involved with Partners for Conservation.